It’s been while that LG G2 is present in market and till now many of the users might have got tired with phone’s ugly UI or no update schemes. Many Android junkies would have already rooted it installed a new Custom ROM but what about Noobs? Well, we are here to help you all. 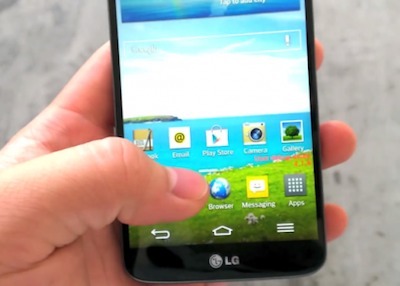 Below I have created a simple and easy guide to root your LG G2. Now you need to extract the files you downloaded about in zip. Then head over to your device and go settings then enable USB debugging there after that connect your phone to your computer. Now let all the drives connect your phone properly after that open the Root.bat file which you got after extracting the zip file earlier. Then you will see a dialog box which will disconnect your phone and it will disable USB Debugging too, again go to your device, enable the Debugging and reconnect your device to your system. When you will reconnect your device then script will run up and it will start rooting process automatically. In between you will be asked whether you want to install Superuser? Do install that, as it is really important for rooting. Now after some time you will be asked about Trip Rootchecker. Basically it is a root checking software by LG just similar to Knox by Samsung, it detects whether your device is rooted or not and voids your warranty. Do trip that rootchecker. Note: don’t perform any updates OTA as it will unroot your device again. But we are sure that no update will come any time soon. Did you root your device? Do tell us in comments below.